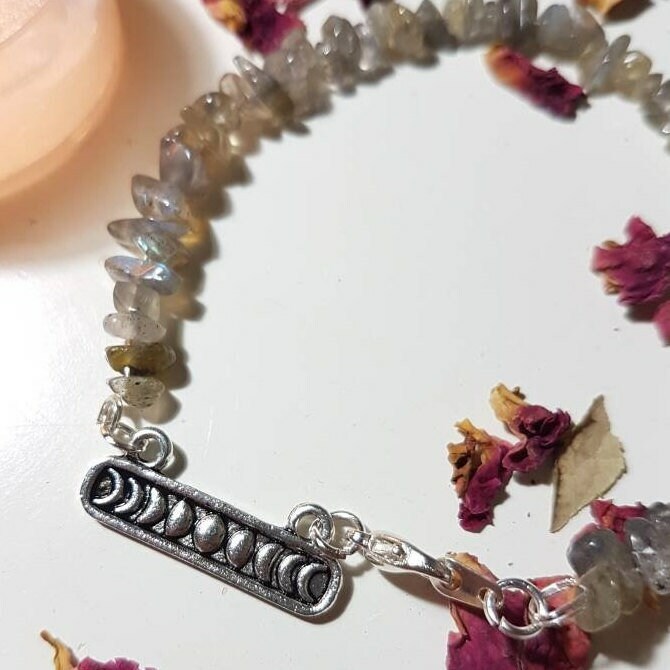 Labradorite silver plated bracelet with silver tone moon phase connector. 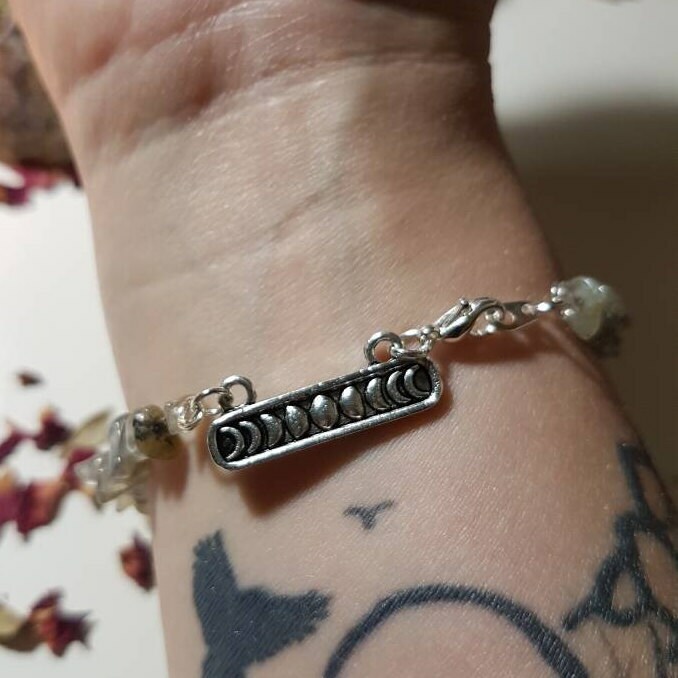 A lovely witchy piece of jewelry. Order for Halloween! 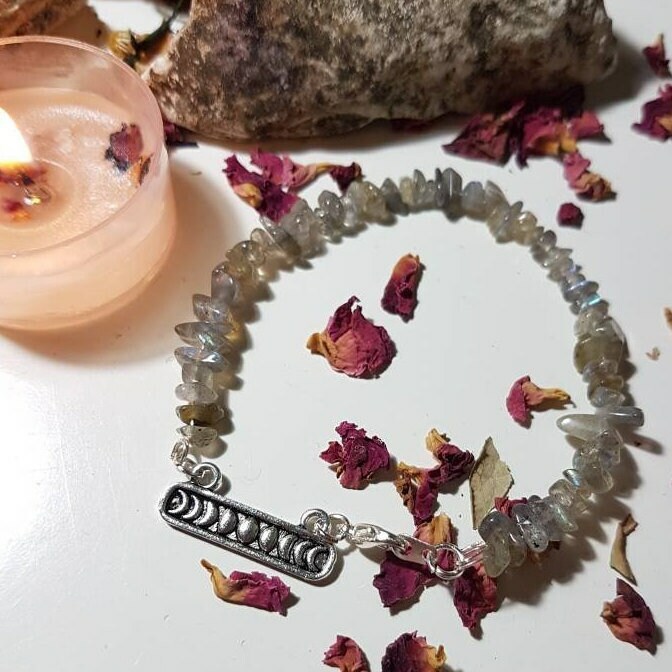 Labradorite is a crystal to help the wearer though change. It is also a magical stone that can help develop psychic gifts. Findings and wire are silver plated and charm is silver tone. Bracelet fits wrists 19cm. If you require it longer I can put on a extender chain free of charge. 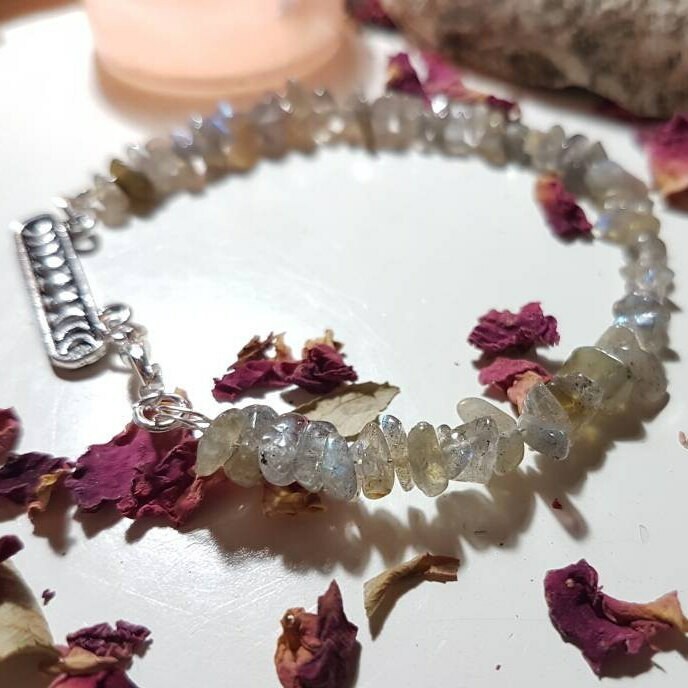 Bracelet comes wrapped in tissue paper with a details of properties of the crystal, a small dhoop stick to cleanse your item and an organza gift bag.